This question is pretty easy to answer for me, because I simply don’t write unflattering reviews. I prefer writing positive reviews to negative ones, but this is me. There’s nothing wrong with writing negative reviews, as long as they are not offensive. 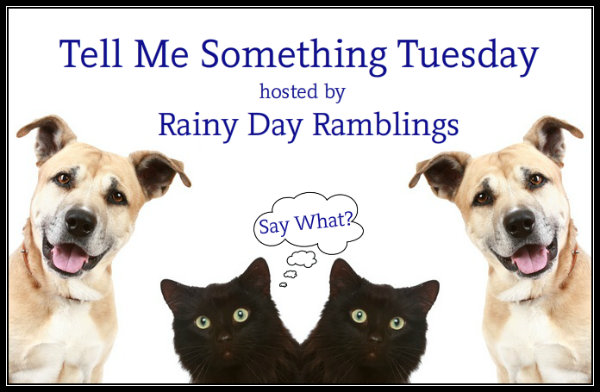 This entry was posted in Books, Reviews, Tell Me Something Tuesday and tagged Books, reviews, Tell Me Something Tuesday. I’m of the same mind. I don’t want to write a bad review. If I don’t get something I just don’t review, or I put something like, I need to reread this and digest this for awhile…..after all, I could be just missing their point. Also their are language issues sometimes……. So, I am a reviewer for NetGalley so I have to be honest. That is what authors want me to do. I’m not mean, but I am honest. The good thing I’ve only had to give out a few bad reviews. One book was so bad, I read three books in between. I had a hard time finishing it. It felt bad doing it, but I could not give a good review and have someone else buy it and say WTH. So yes I do it, but I try to be gentle. I think that negative reviews are just as important as positive ones. If I don’t like a book, I will say so. I always try to explain why I didn’t like it. Someone else may read that review and disagree with it, that’s what makes these blogs interesting. I have read positive reviews, and known, right away, that I won’t agree with the reviewers opinion. Every reader is different, if not there wouldn’t be so many genres to choose from.